The two-week Cornish/UW residency and this culminating informal performance looks to the future, with young artists from across creative disciplines experimenting with Cunningham’s formulation of chance operations as a tool for creating art grounded in their own experiences. Students from Cornish and UW’s dance composition courses will collaborate for the first time since the 2004 setting of Trisha Brown’s “Floor of the Forest” (1970) at the Henry. This informal performance will demonstrate how Cunningham’s brilliant processes have the potential for creating surprising and engaging dance works. 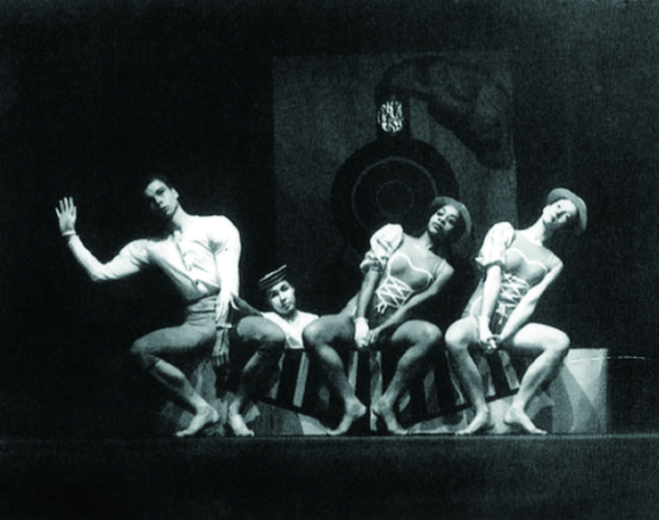 Traditional residencies usually involve company members setting already-created dance works on students—unique to this residency is that students will be exploring some of Cunningham’s most innovative and famous dance-making structures, investigating first-hand his genius in devising methods that generate compelling and unexpected dances in the moment. Far beyond just offering dance technique classes, the residency includes workshops on Cunningham’s legacy in costume design, choreographer/ composer collaboration, and interdisciplinary collaboration. Chance operations workshops will also be offered to students in Cornish’s Visual Arts, Interior Architecture, Film, and Performance Production departments.